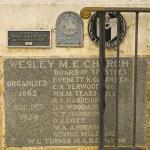 As Austin’s oldest church, Wesley United Methodist Church has a proud history extending back to Reconstruction, 1865. Reverend Joseph Welch, presiding Elder of the Texas District of the Mississippi Mission Conference, presided over the first meeting in the basement of the Tenth Street M. E. Church, South on March 4 of that year. The structure that exists today at San Bernard and Hackberry streets was built in 1928 under the pastoral authority of Reverend Dr. W. L. Turner. 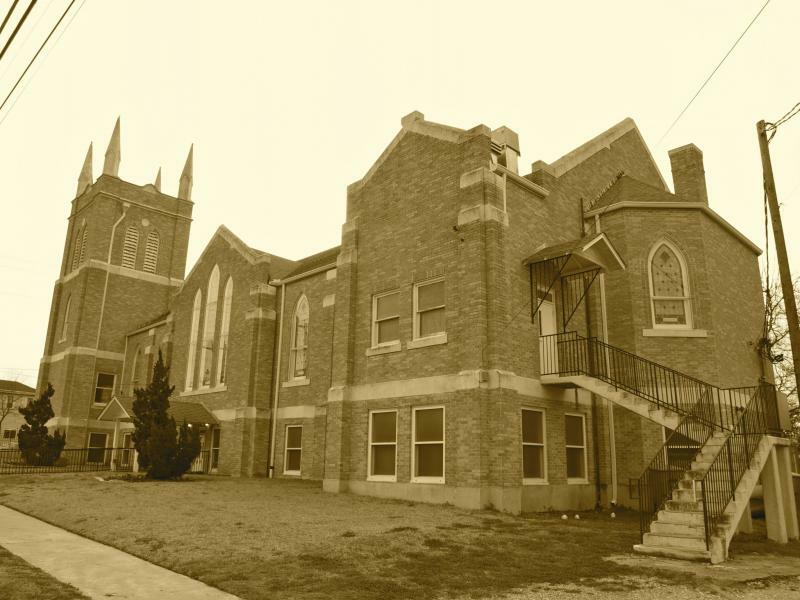 It was one of the first black churches to hand a pastor’s study and an on-sight library, and its emphasis on education is highlighted by the fact that Samuel Huston College (now Huston-Tillotson College) classes at Wesley for many years. 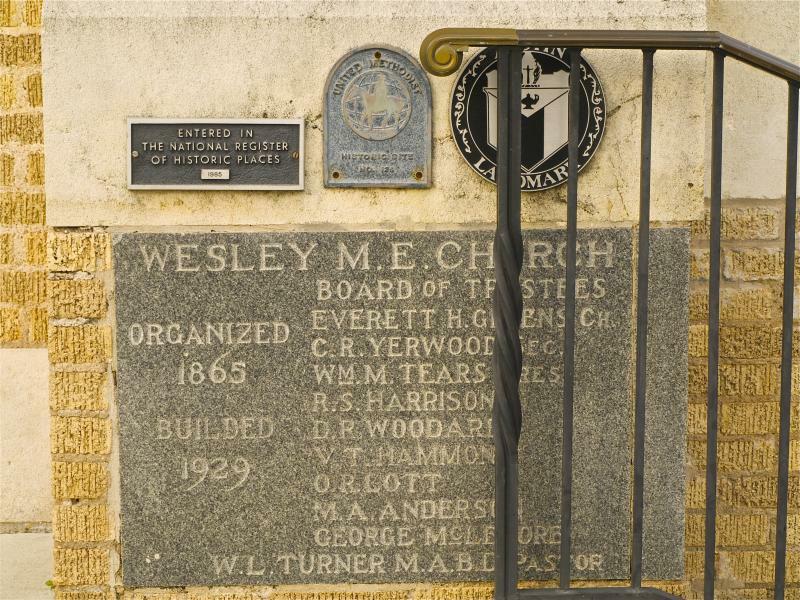 The inaugural meeting for Wesley United Methodist was held on March 4, 1865 and lead by Reverend Joseph Welch in the basement of the old Tenth Street M. E. Church, South. The very next day, the first Quarterly Conference meeting and its first trustees, which included the first pastor of Wesley, Reverend Isaac Wright. 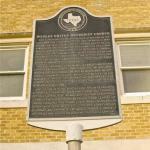 By 1874 the congregation was able to erect a free-standing building in Central Downtown Austin at the corner of Fourth and Congress Ave.
By the end of the nineteenth century, the Fourth street location was overflowing, and soon the cornerstone had been laid at Ninth and Neches streets. The entire construction of the second church was valued at $22,000. The magnificent, two-story edifice symbolized Wesley’s size and strength in the bustling East Austin community through the next two decades of the twentieth century. 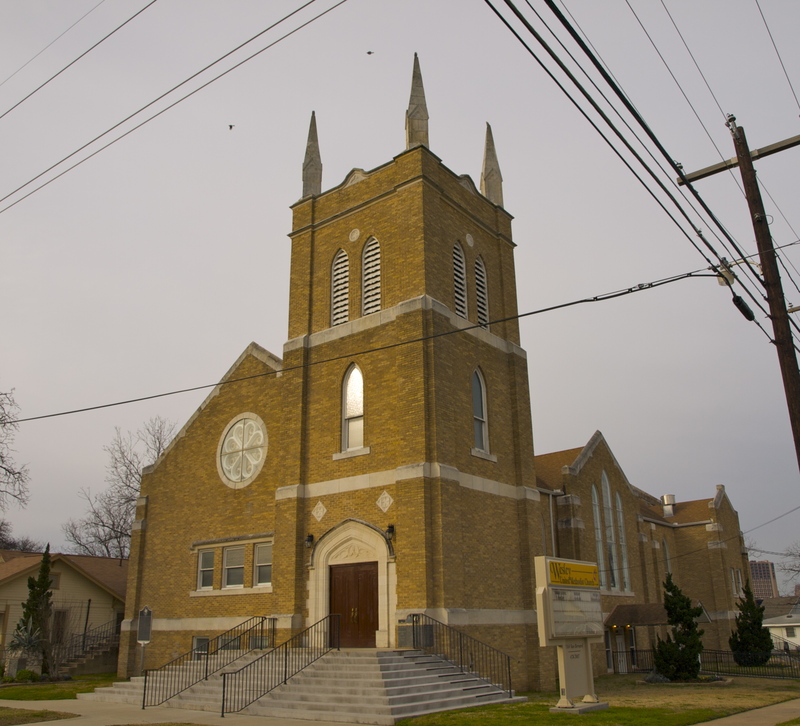 Yet by the late twenties, the church was blessed with the membership and means to expand to its present location at the central hub of San Bernard, Hackberry and Navasota Streets. 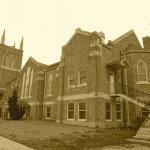 The building construction in 1928 was valued at a whopping $50,000, now known as Greater Wesley.